Lely T4C (Time-For-Cows) management system already kept you up-to-date with everything going on in your barn and acts as a library, operating system, herdsman, personal assistant and trainer. Now, having full, remote control over your farm with Lely T4C just got even easier thanks to the addition of Advanced Filters. Several default filter groups, which can be edited, have been created, with users also having the option to create new filter groups. These filter groups make it possible to combine different criteria within one list, reducing the number of reports used and providing a clearer overview. For example, a reproduction checklist can be created that includes; - cows for pregnancy check; - cows over fifty days into lactation that have not been seen in heat; cows to check for metritis at the start of the lactation; cows with a veterinarian check reminder. Rather than having to go through separate reports on, you are now able to get the information in one report, clearly sorted for the veterinarian. “Advanced filters can also be used to automatically separate cows in the treatment pen, so if the vet check day comes up the robot will automatically have these cows lined up in the separation pen in the morning of the vet visit,” said Ben Smink, Lely senior Farm Management Support Advisor. T4C InHerd integrates seamlessly with the automatic milking and feeding systems, giving you a constant overview of everything relating to your herd, no matter where you are. 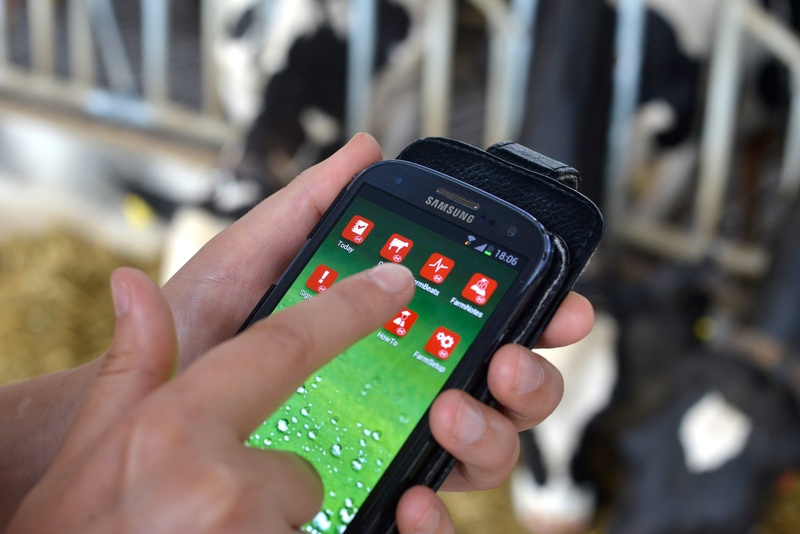 You can see what, if any, action needs to be taken from the palm of your hand with the Lely T4C InHerd mobile version or from your desk with Lely T4C Office, allowing you to act earlier and provide appropriate attention to the cows that need it. The additional features that have been added only increase the efficiency with which you are able to run your business and monitor your cows.